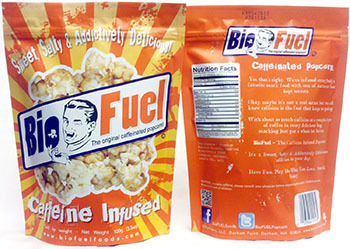 If you buy caffeinated popcorn, either you’re eating popcorn for breakfast, or you’re slamming pure caffeine to your face at night while you watch a movie. Maybe that’s how you live though. Backing into parking spaces, checking out with more than 15 items in the express lane… the dangerous life.